To the delight of environmentalists everywhere, California state legislature passed a law on Tuesday, Sept. 30 banning single-use plastic bags in an effort to eliminate waste. The bill carried wide support from Californians, as 120 local communities throughout the state had already passed some sort of ban on plastic bags. And California is not the only one moving in this direction. Other forward-thinking cities, such as Chicago, Austin, Seattle and Portland have also banned the use of plastic bags, not to mention the many other countries world-wide making similar restrictions, such as Australia, India, England, and Rwanda to name a few. Single-use plastic bags have serious detrimental impacts on the environment. Lightweight in nature, these bags are often carried away by the wind, either to end up somewhere as litter or clogging a waterway, harming the natural environment of all water creatures. Bags that end up somewhere on land can take hundreds of years to degrade and create huge problems for wildlife. 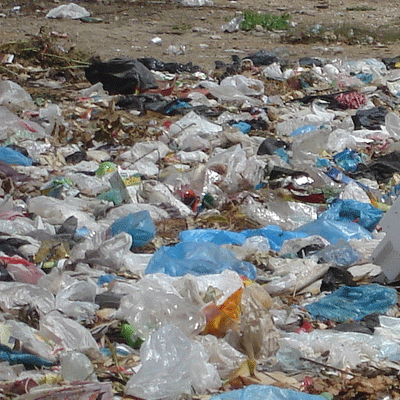 Additionally, the specific type of plastic used to create these plastic bags is very expensive to recycle. Oftentimes recycling companies end up simply burning the bags or sending them to a landfill, both of which are poor environmental solutions. According to healthguidance.org , less than one percent of all plastic bags sent to a recycling company actually end up in a recycling project. Despite these facts, some Californians are raising concerns about the new bill. There have been complaints about the economic impacts for both grocers and shoppers. Part of the law stipulates that if shoppers do not bring their own bag, they will be charged a minimum of 10 cents per paper bag they are given for their goods, which could be detrimental to low-income shoppers who may not have the resources to pay for the bags. Additionally, there is a trend between shoppers bringing their own bags and shoplifting, a worrisome correlation. As Seattle has seen, plastic bag bans have had a significant impact in small stores especially, where the effects of shoplifting are felt the hardest. However, most people are in favor of the new law. Miami University Sustainability Education Coordinator Anna Ginsky brought up an interesting point on the importance of this bill.